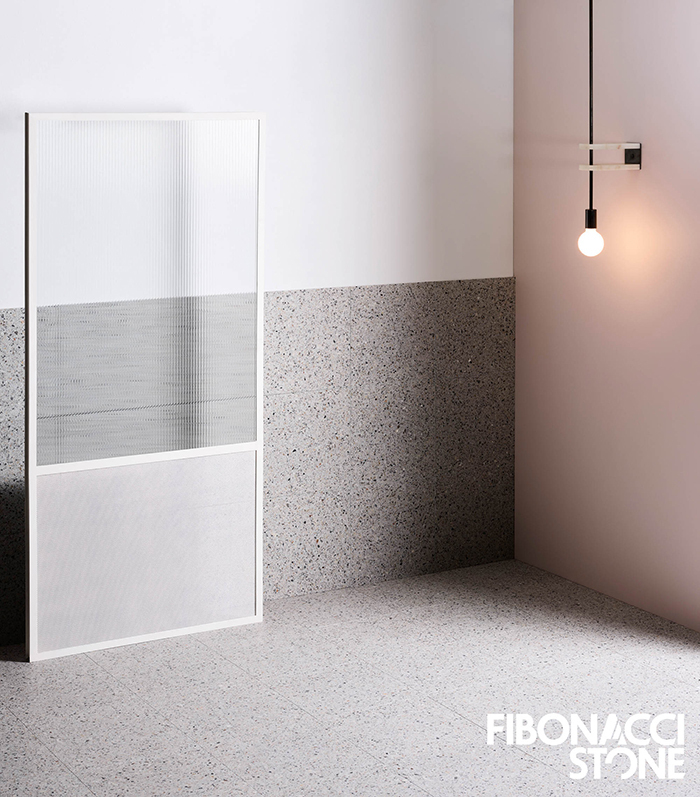 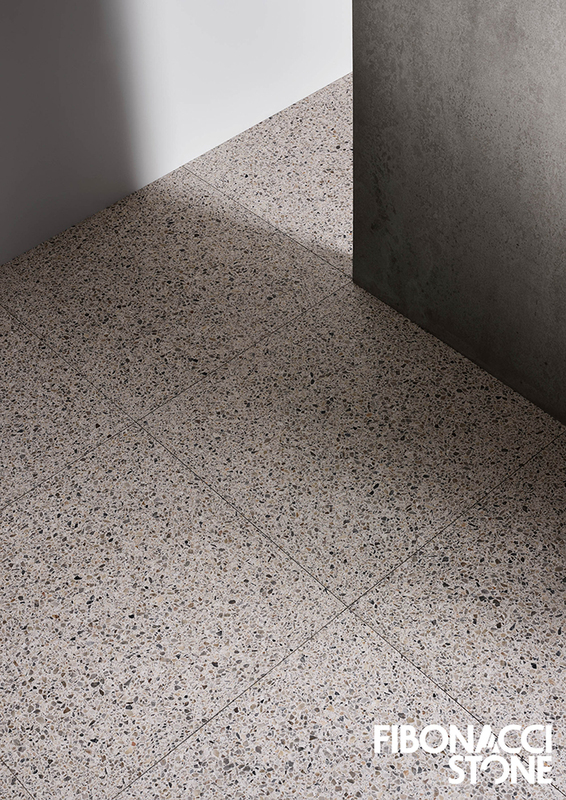 Inspired by mid C19th Brutalist forms, Neues Grey Fine is a striking terrazzo that at first glance appears to be quite monochromatic.Closer inspection reveals a refined blend of marble and rock within a warm concrete base that presents a high level of uniformity and consistency. 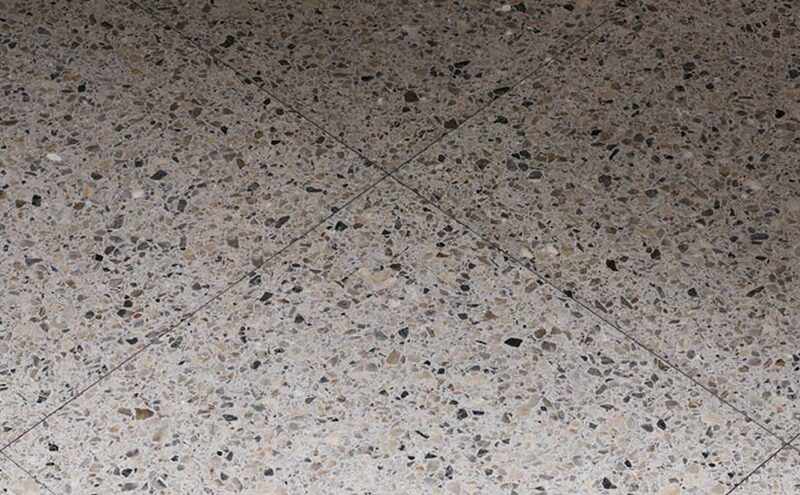 Intense, splintered shards form a complex, uncompromising and unconventional terrazzo, inspired by the hard edges and shadows of Brutalist architecture.Gunmetal to mid-strength greys are peppered with occasional amber and olive rock chips, tempering its appearance with a faint warmth. 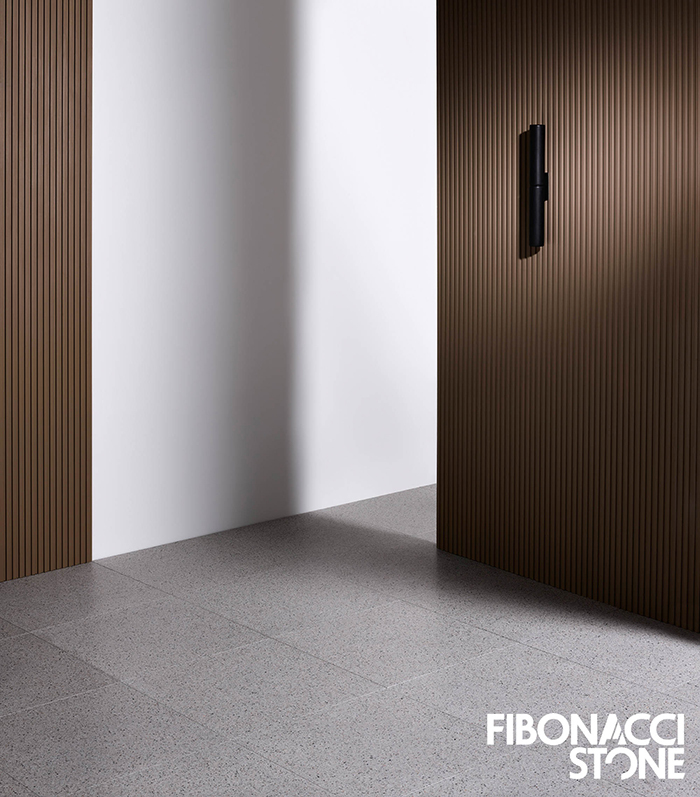 An homage to natural landscapes of muted greens, browns, rusts and greys, Khaki Jam, in its versatility, has the ability to mimic the act of camouflage. 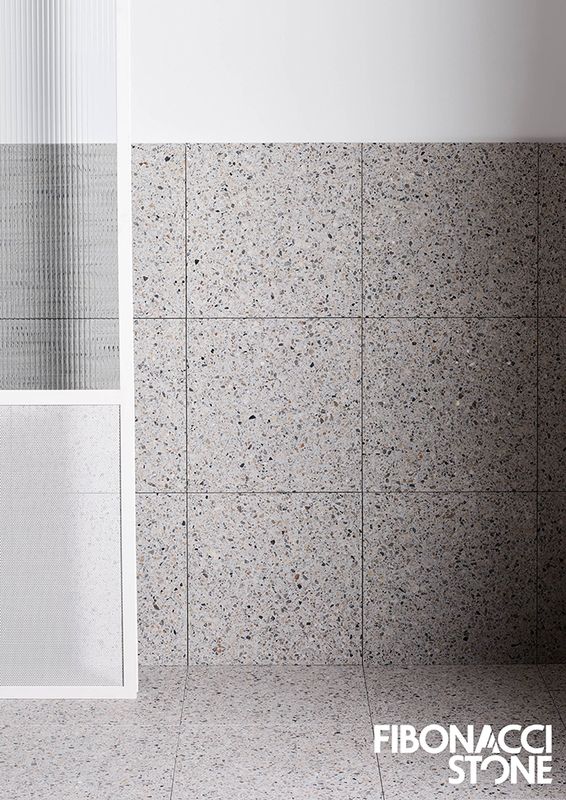 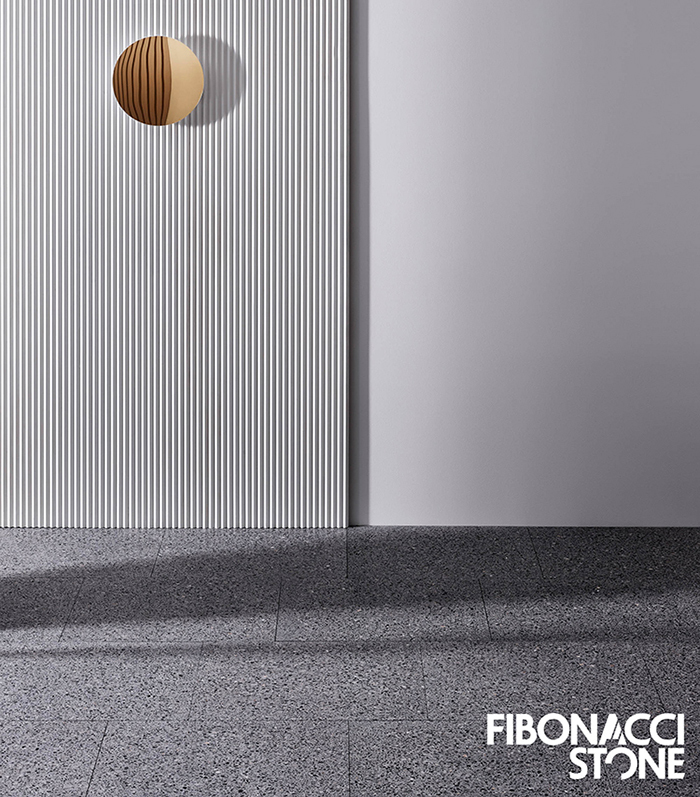 Brilliant for blending into a subtle room scheme, it can also appear with strength as a stand-alone feature. 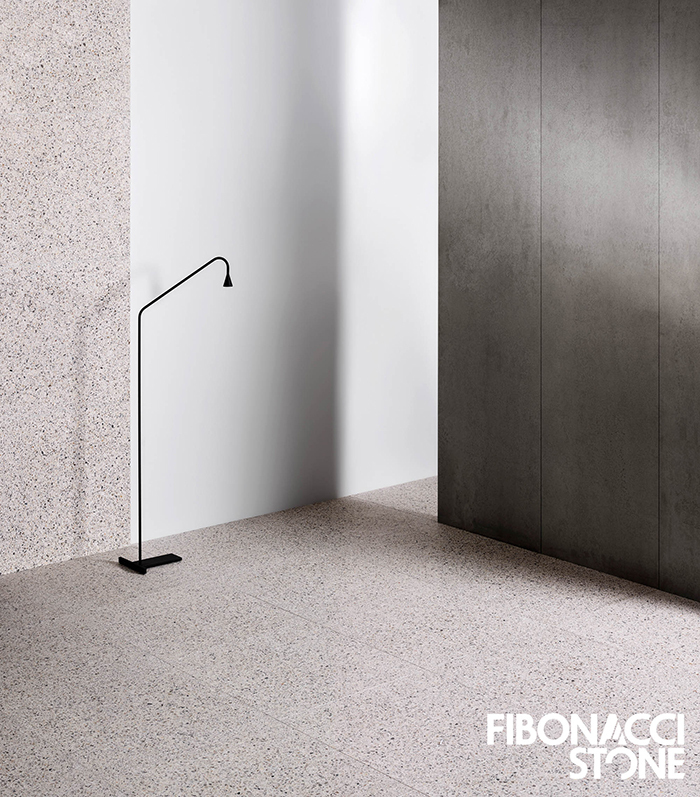 Set within an earthy bone-hued cement base, the mixture of mostly warm shards and stones are given freshness by cool khakis, pale olive and laurel. 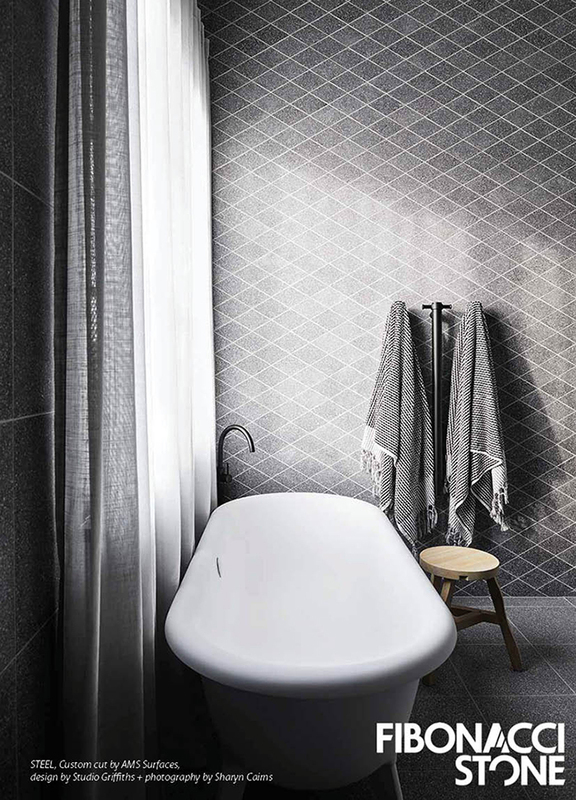 Like the moments between day and night, when the light ebbs and flows, Eventide has the ability to appear either warm or cool. 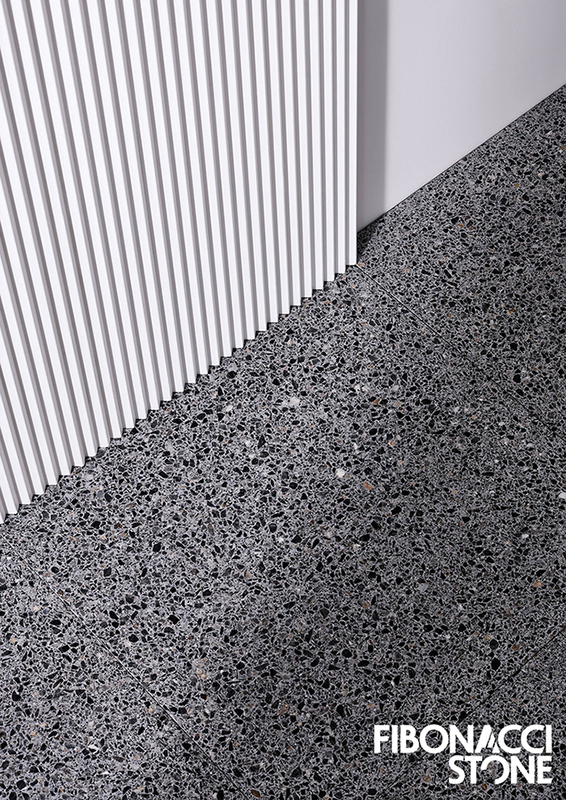 Almost fossil-like in appearance, mixed amongst the small grey shapes and base are handsome flecks of warm orange, amber and olive green. 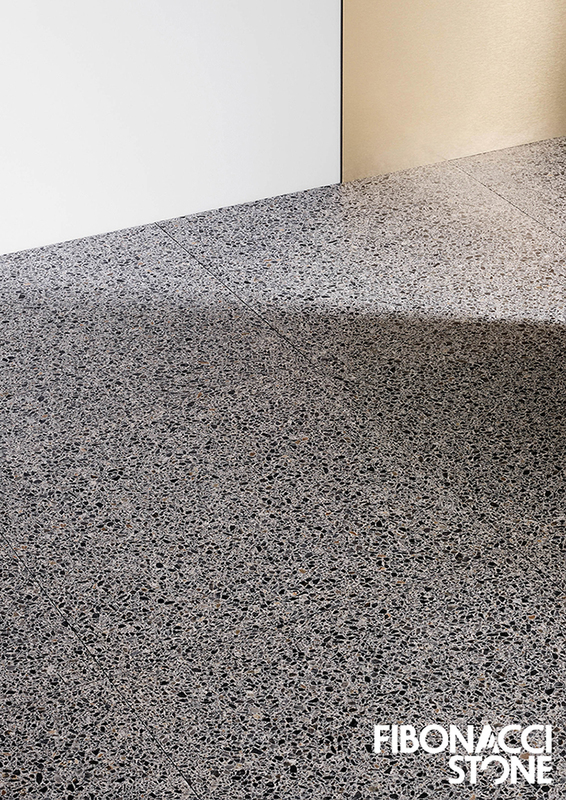 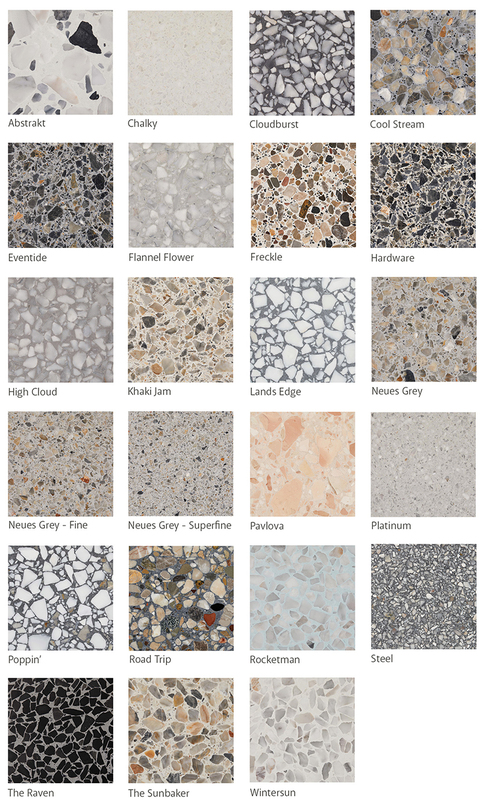 Eventide combines the strength of appearance of a bluestone, with the complexity of a stunning terrazzo.